Thinking of starting your own clinical service redesign project? Amy Fitzgerald takes us through the benefits and some of the common pit falls when managing a CSR project. Amy Fitzgerald a PGY3 resident from Perth takes us through the basics of clinical service redesign, its benefits and pitfalls in this two part series. Last week we covered the basics of clinical service redesign using the DMAIC (define, Measure Analyse, Improve, Control) framework. Now we will examine the many benefits and some of the common pitfalls of Clinical Service Redesign. It is often said that in public health there are many good people working in a very broken system. This was a sentiment echoed by myself and my colleagues during our CSR rotation. CSR projects give JMO’s and other clinicians the chance to improve this broken system and most importantly improve patient care, patient safety and the patient experience of health care. An incredibly rewarding achievement at the end of a sometimes-long journey. Resources in public health are limited. Using CSR projects to reduce waste means that we can get the best out of these limited resources. Virginia Mason Medical Centre in Seattle adopted lean principles in 2002 and over the next 6 years improved their efficiency 44% (equivalent to gaining 77 FTE employees), reduced heir inventory by half and saved between $12 and $15million in budgeted capital. 1 While this is an extreme example it illustrates how much time, money and resources can be saved with CSR projects. I didn’t fully appreciate the complexity of our health care system until undertaking my medical service improvement project at the recently opened Fiona Stanley Hospital in Perth. Just how many non-clinical and support staff are needed to keep these large hospitals ticking over is staggering. It has made me more aware of all the different people in public health and the hard work that these many people do and the importance of all of these different roles in service provision. Increasingly there is a focus in medical education on the development of soft skills and how these can be taught and fostered in junior doctors. Acting as a CSR project manager will provide opportunities to develop your soft skills in spades. Almost all projects will involve dealing with conflict, time management, teamwork, working under pressure, communication, delegation and leadership. It was universally felt by my peers that while our projects may not have contributed to patient care exactly as planned, we had all developed soft skills that would benefit our patients in the years to come. My CSR project gave me the opportunity to work with consultants, registrars, junior doctors, executives, nurses, patients and project managers. I met many wonderful people along the way and learned a lot about WA Health. It also gave me opportunities to meet like-minded peers, attend leadership training and workshops, present at conferences and even contribute to this blog! Generally doctors tend to over commit and are time poor (myself included). It is very easy for a small achievable project to turn into a big long drawn out failure. Advice from one of my mentors was to start small, because everyone has pieces of projects or research sitting at the back of their cupboards that have failed to complete because they were to be big to be achieved as planned. I would encourage you to keep this in mind when planning your project and in particular in relation to the resources you have available. Never underestimate how long a CSR project might take and be realistic in what you can achieve in a given time. Time is the most valuable resource you have and if you are working full time and trying to complete a big project by a certain deadline you will be surprised how quickly it runs out. In Western Australia we are very fortunate to have 10-week RMO terms for CSR training and projects which are competitively selected for. As a general rule most junior doctors reach Improve at the end of the term after working for 10 weeks full time. Although it may seem time consuming initially, plan meticulously from the start. Set realistic achievable goals and timeframes. Although you may not always be able to stick to them despite your best efforts they are valuable in showing how far you have come and whats to look forward to in the future. There are a variety of planning tools eg evernote, onenote, asana, trello available online. I found these very useful for managing multiple things at once. Utilise the expertise of those around you throughout your project. If you are unsure of how to proceed or best achieve something ask. The vast majority of hospitals have a great Quality and Safety team who undertake these projects full time. They may have some resources available to you to help with your project and will definitely have years of experience and advice to offer. Also having a CSR mentor is invaluable, while it can be difficult to set up this arrangement having an experienced superior to offer advice and guidance can help you achieve your project goals and throw strength behind your ideas. Mentors or project supervisors have often faced similar challenges in the past and have great ideas to address them. In addition to this don’t be afraid to delegate and outsource tasks. It takes a village to raise a child and a team to complete a CSR project. Change is hard, but sustainable change is even harder. 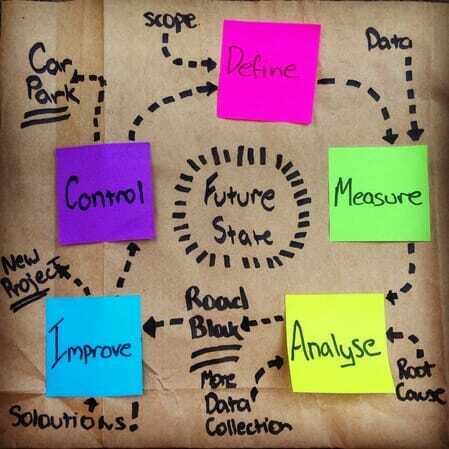 From the moment you start planning your project consider who and how the process will be managed at its completion. Will it become hospital policy? Do you have executive support for this? As a JMO we are often involved transiently in these projects, we move around, change rotation or hospital frequently. Think about whose help you can enlist to keep your project going once you move on or the project is completed and involve them early on. Now that we have covered the basics of CSR, its time to brainstorm project ideas! Below are some examples of JMO lead CSR projects. Plan: Fluro orange ‘Management Plan’ sticker in notes with all relevant information (lets the user pull) and plan completed by home team Friday afternoons. Benefits: Plan easily located by after hours and weekend staff, plans implemented in a more timely and efficient manner, improving patient safety, wait for weekend discharge and reducing reliance on verbal information (source of error). Aim: to reduce JMO time searching for stock and trolley which contributes to delays in IVC insertion (time waste). Plan: Levels and place of stock for trolleys determined, trolleys kept in similar place on all wards in designated area, job of restocking delegated to specific person on ward to be completed by 08:30am each morning. Benefits: reduced inventory of uncommonly used stock (reduce waste), increased JMO satisfaction (adds value), reduce delays in IVC insertion. As junior doctors we are often confronted daily with many inefficient processes and as such we are in a unique position to offer real, practical solutions. We can bring fresh ideas for innovation and a ‘can do’ attitude to facilitate change. Clinical service redesign gives us the tools to address these challenges and develop better more efficient systems, that not only reduce waste and smooth the running of the hospital but improve patient care and safety. What’s your idea for a project? What is the first step you will take? How are you going to help improve things for your patients in your hospital? Department of Health, Western Australia. (2013). WA Health Clinical Services Redesign Handboook: A Training Guide. Perth: Health System Improvement Unit, Department of Health, Western Australia. Amy Fitzgerald a Medical Resident Officer from Perth. Amy previously worked as a pharmacist at The Royal Melbourne Hospital in the quality use of medicines department before undertaking medicine. In 2014 Amy undertook a medical service improvement project at Fiona Stanley Hospital in Western Australia, where she acted as project manager for a service redesign project tasked with designing a urodynamics service for this new tertiary centre. Summary Writer: Matthew Oliver Editor: James Edwards Interviewee: Jonathan Brett James Read More..